The 20th edition of UFI’s Global Barometer for the exhibition industry reports strong results for 2017 and very good prospects for 2018 in terms of turnover growth. The top business issues remain the state of the economy in home markets, and global economic development – the first one rising in importance, the latter one’s importance declining. Results also indicate that a very large majority of companies is looking to develop new activities, while a significant proportion is also considering investments in new geographical markets. Revenue generated from new business models is expected to grow considerably in the coming years as the exhibition industry embraces evolving business models. The 20th edition of the barometer added three new partners to UFI’s semi-annual industry research: EEAA (The Exhibition and Event Association of Australasia), IECA (Indonesia Exhibition Companies Association) and MFTA (Macau Fair Trade Association). The research presents a global overview of industry data, broken down into company types and 17 separate market profiles. This edition’s data is based on input from a record 290 participants from 53 countries and regions. 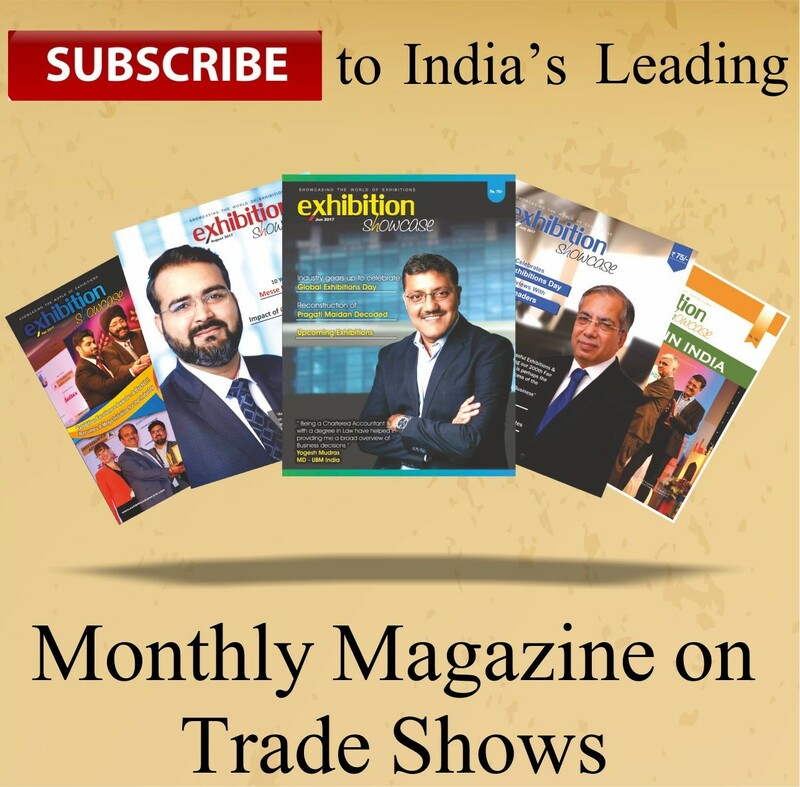 “Globally, the exhibition industry is growing at a healthy rate. Companies around the world are looking into expanding their activities within and beyond their present activities and geographic borders. In parallel, new business models are under development, and many players in the industry expect them to deliver a relevant share of their company’s revenues in the coming years”, says Kai Hattendorf, UFI Managing Director / CEO. Turnover and operating profit – 70% of companies around the world declared an increase in turnover for the second half of 2017 while 72% anticipate an increase for the first half of 2018 and 77% for the second half. Companies in several markets are well-positioned to out-perform these previsions in 2018: Brazil, Germany, Macau, the US and the UK, whereas a significant level of uncertainty still exists for many countries in Asia, including most parts of China. In terms of operating profit, most markets maintained or improved a good level of performance in 2017: 44% declared an increase and 43% a stable profit. A majority of companies declared an increase their operating profit in 2017 in nine of the markets analysed: Brazil, China, Germany, Indonesia, Macau, Mexico, the Middle East, the UK and the US. When asked about the revenue share expected from new business models (such as different event formats, digital revenues or marketing services), a majority of participants responded that they expect this revenue to represent between 5 and 10% of total revenue in five years’ time, and more than 10% in ten years’ time. One quarter of the companies is expecting these new business models to generate a share of more than 25% of their revenues in ten years’ time. Most notably, an above-average share is expected in the following markets: Australia, China, India, Indonesia, Macau, Mexico, Thailand, the UK, and the US. Top Business Issues – The top business issues for the coming year remain the “State of the economy in the home market”, (for 25% of the respondents), “Competition from within the industry” (21%), “Global economic developments” and “Internal challenges” (16% each). This means that “Global economic developments” have become less important than in previous years. Detailed results indicate that “Competition from within the industry” is the top business issue in the following 4 markets: China and Macau, India and Germany. Strategic priorities – In terms of the range of revenue-generating activities, a large majority of companies intends to develop new activities in either the classic range of exhibition industry activities (venue/organiser/services), other events (live or virtual), or in both of these areas: 72% in the Middle East & Africa, 78% in Asia/Pacific and 88% in the Americas and Europe. In terms of geographical exposure, an average of 4 out of 10 companies declared their intention to develop operations in new countries, and this is the case for a majority of companies in five of the 17 markets analysed: the UK and the Middle East (67%), China (57%), India (53%) and Germany (50%). Size & Scope – This latest edition of UFI’s industry survey was concluded in January 2018 and includes data from 290 companies in 53 countries. This constitutes the largest-ever number of participants in this global survey. The study delivers outlooks and analysis for 14 major markets: Australia, Brazil, China, Germany, India, Indonesia, Italy, Macau, Mexico, Russia, South Africa and Thailand, Thailand, the UK and the US. In addition, three aggregated regional zones have been analysed. “This is the 20th edition of our Global Barometer and we are very pleased to report a record number of participants, allowing us to include data from 290 companies. We are also pleased to welcome EEAA (The Exhibition and Event Association of Australasia), IECA (Indonesia Exhibition Companies Association) and MFTA (Macau Fair Trade Association), as partners for this report. These partnerships have enabled us to add a new country profile for each of these markets”, says Kai Hattendorf, UFI Managing Director/CEO. Background – UFI’s 20th Global Barometer Survey, concluded in January 2018, covers insights given by 290 companies from 53 countries. It was conducted in collaboration with 12 UFI Associations Members who collaborated with UFI for this research work: AAXO (The Association of African Exhibition Organizers) and EXSA (Exhibition and Events Association of Southern Africa) in South Africa, AEO (Association of Event Organisers) in the UK, AFIDA (Asociación Internacional de Ferias de América) for Central and South America, AMPROFEC (Asociación Mexicana de Profesionales de Ferias y Exposiciones y Convenciones) in Mexico, EEAA (The Exhibition and Event Association of Australasia) in Australia, IECA (Indonesia Exhibition Companies Association) in Indonesia, IEIA (Indian Exhibition Industry Association) in India, MFTA (Macau Fair Trade Association) in Macau, SISO (Society of Independent Show Organizers) in the USA, TEA (Thai Exhibition Association) in Thailand and UBRAFE (União Brasileira dos Promotores Feiras) in Brazil. In line with UFI’s objective to provide vital data and best practices to the entire exhibition industry, the full results can be downloaded at www.ufi.org/research. The next UFI Global Barometer Survey will be conducted in June 2018.